Christopher Fox: Bio & Choral Music | Santa Barbara Music Publishing, Inc.
Christopher Fox (b. 1975) is an active guest conductor for honor choirs throughout Maryland, Pennsylvania and Virginia. He has been praised for his work with the adolescent male voice and regularly presents workshops to educators across the Tri-State area. He is the Director of Choruses at Bonnie Branch Middle School in Howard County, MD. 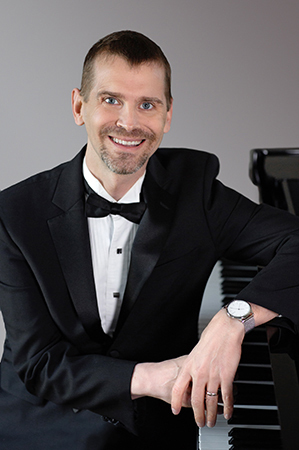 Mr. Fox received his Bachelor of Science in Music Education from Indiana University of Pennsylvania, and his Master’s Degree and Kodaly certification, from The American Kodaly Institute at The University of Loyola, Baltimore. He has twice been awarded Teacher of the Year and served for eight years as adjunct faculty for the University of Mary Washington Theatre Department. In his free time, he loves to travel with his wife, Stephanie, and children, Lily and Porter. Christopher Fox has 5 titles published with Santa Barbara.